Lemons are extremely beneficial and versatile fruits with a unique flavor and aroma. They are excellent in healthy, detox, and refreshing drinks, and improve health in countless ways. Rachael Link, MS, RD says that these fruits are low in calories, but high in fiber and vitamin C, as well as several other micronutrients. Lemons also contain small amounts of folate, calcium, copper, magnesium, thiamin, and pantothenic acid. Therefore, wouldn’t it be amazing to have an unlimited supply of these citrus fruits at hand all the time, in an almost cost-free way? 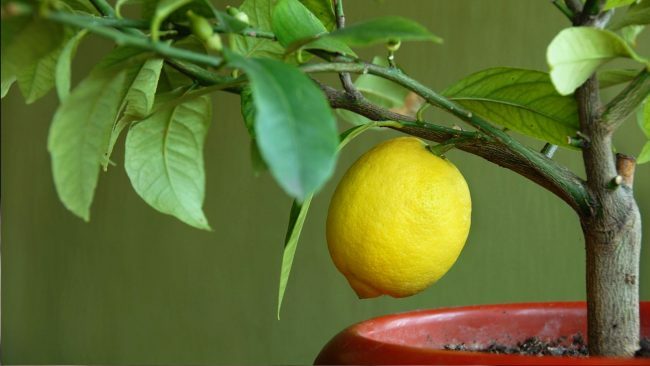 Well, it is time to learn how to grow your organic lemons at home! Place the pot in a sunny and warm place, or turn on the grow lights above it. When you have an unlimited supply of lemons at home, there is a wide range of potential uses for you to enjoy. You can add lemons to water and drinks, desserts and baked goods, or pair them with some health-promoting herbs like thyme, rosemary or lemon balm for even more flavor and health benefits. You can use lemons outside of the kitchen as well. Add a few drops of lemon essential oil to the diffuser for a fresh scent, or to your laundry, apply it to the hair for an extra shine, use it to whiten and brighten clothing, or as a natural household cleaner and polish. Take the time to grow your own lemons at home and you will be amazed by the difference it makes!